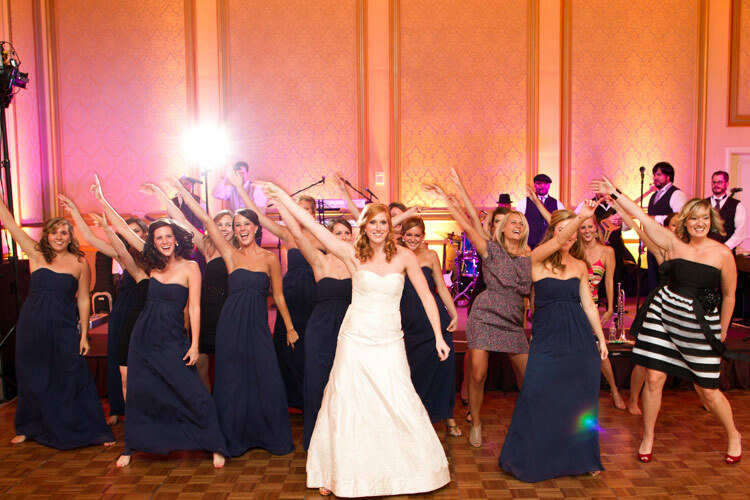 A wedding flashmob is a unique and fun way to involve the whole bridal party in a surprise that will delight and shock your guests! What better way to kickstart your reception and set the tone for the rest of the celebrations than with a group dance choreographed especially for you. Our choreographers work alongside you to create a fun and exciting routine to your favourite songs which will leave your guests wanting more!